Home Anime Nintendo Direct Shocks Us All With Some Exciting News! Nintendo Direct Shocks Us All With Some Exciting News! Has Nintendo gone crazy!? This is Awesome! The moment you realize you need to drop everything you’re doing because Nintendo is about to do it again! 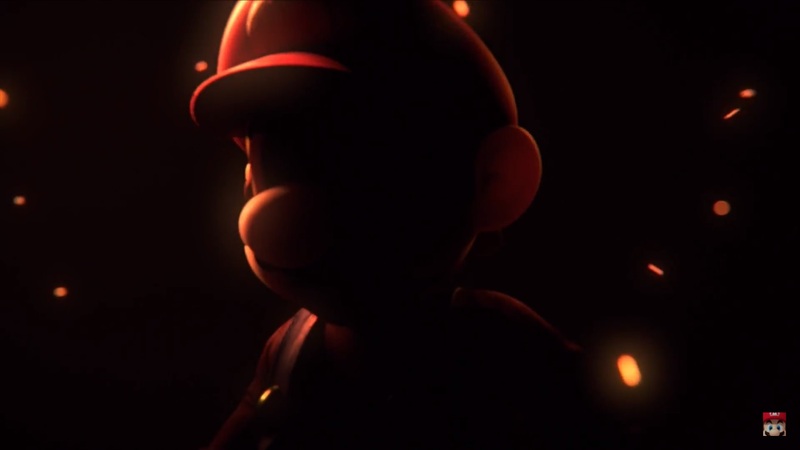 Today, Nintendo dropped yet another series of announcements in their latest Nintendo Direct. It had been a glorious year for Nintendo since the launch of the Nintendo Switch, and they have shown time and time again that they aren’t going to be catching their breath anytime soon. Not only do we have a lot to look forward to for the Switch, Nintendo 3DS fans do as well! So without further ado, let’s get into a recap of March 8th, 2018’s Nintendo Direct! With both classics and new additions, there are now 300 new micro games to play! This is the biggest entry in the series. Interactive and motion controlled, there are a TON of control mechanics! Enjoy puzzles as you try to figure out what play style goes with which game! This time the red flash, Dillon embarks on an adventure as he teams up with animalized mii characters in some strategic team based gameplay. Gather your friends, you’ll need them! Their Mii characters can join your team as gunners to help you defeat each wave of transforming monsters. Mario and Luigi are back, but this time need to get to the bottom of a mysterious disease threatening all life in the mushroom kingdom. Then both brothers have been eaten by Bowser (ew, gross! ), which leads their adventure into the depths of his body, but able to control him to find the cure. This allows the player to switch between the brothers and bowser to fulfill the quest. First of all, not the kind of Pikachu I’m used to. He’s lost his memory and suddenly learnt how to talk like your middle aged uncle. Follow Tim and Detective Pikachu through their journey to uncover the tracks of Tim’s dad. They go to Ryme City, a town where there’s some odd things going on. Mysteries abound, and it’s up to Detective Pikachu to get to the bottom of this! For fans of the iconic Luigi’s mansion, they’ll love this! Explore the haunted mansion from the original where Mario went missing. On top of that, use the map displayed on the bottom screen to navigate through this creepy house. Kirby’s friending characters you wouldn’t expect. Well, in his dreams anyways. During his adventures, he’ll find dream palaces where he can round up characters like King Dedede, Meta Knight, and Bandana Waddle Dee to save the world. The first free update will include new characters like Rick, Kine and Coo, Marx, and Gooey. This grand adventure is back in HD! Save the land from the a terrible curse. The legendary Okami raises again with the wandering artist Issun. Overcome challenges using the celestial brush to create miracles in your journey. In the Nintendo Switch version, use the joycon’s to create brush strokes or use the handheld mode. A great cast, solve mysteries and slay countless monsters in this beautifully crafted game. Ever been to one of those conveyer belt sushi places? Feel hungry yet? Well, if you wanted a little more action from your sushi look no further than this one. In a world where sushi is forbidden (Okay, I can’t last in a place so cruel) by the Empire. You must fight some serious battles by eating as many sushi as you possibly can! Need some help with all that rice? Well, go online as ask some friends to help you out! New characters revealed for Octopath Traveller. Follow the stories of Tressa and Alfyn as they go about their adventures for their jobs. Tressa is a merchant who obtains items from the townsfolk. Alfyn is a healer on a journey to heal all those that are sick and injured. In battle they can acquire add on jobs such as Tressa becoming a dancer to combine strategic options. On top of that, the new special addition will be released the same day with some extra goodies. With a release of seven different game titles, join Travis as he embarks into a game where he can play between an action, racing, puzzles games and more! He’s got a lightsa-, I mean, a beam katana – a real hack and slasher to exterminate every bug he finds. A boss awaits him at the end of every game! Can you beat them all? A world wrought with despair…and hope. In this awesome port, new and old players can take this amazing adventure anywhere! Before its official launch look out for the official network test. If this is your first time, welcome to a brave new world. But that’s not all! A new Amiibo launch will separately: Solaire of Astora. It will give you the popular praise the sun gesture. Put your closest friendships to the test with 15 playable characters and a solid doubles match! Use a variety of shots like the basic shot, top spin slice and a lob to throw your opponents off. Wanna take it a step further? Try out the new aim and shoot mechanic called the Zone shot. Control it with motion controls for a powerful punch. Watch out though, something so awesome doesn’t come without it’s faults as your racket will take damage and break. 3 hits, and you’re outta the match! To counter a Zone shot, you can speed chase it, but it’ll use your energy gauge. A special shot will eat away at your energy big time, but it has the potential to KO and break your opponents racket, but watch out this shot can be blocked. Feel like a casual match? Try the simple rules that only allows for basic shots. Here’s the kicker, this game will be available for online play and Nintendo plans on hosting events and online Tournaments. The first event will be announced soon! This one was just casually snuck in there…but you know what they were getting at. Undertale comes to the Switch, but when? You’re guess is as good as ours. Tricky sandbox style levels, Toad, and a few flashblacks to Super Mario Odyssey, follow Toad in his quest to find hidden treasures. You can rotate the screen to find hidden treasure and on top of that why not give a joycon to a friend to help you find some? While one character controls toad, the other controls cover fire. A 3DS version is set to release as well. If the summer release of Crash for PS4 wasn’t enough for you, then a version you can play ANYWHERE is coming to the Switch. This is huge as this title has never hit a Nintendo system until now. Hop, spin, and jump into this classic trilogy. Ever had those creepy scary nightmares as a kid? Well, you are about to face them in Little Nightmares for the Switch. And better yet, why not be reminded of them wherever you go!? This puzzle platformer is filled with mystery and corrupted haunted souls. Each room has a cell, each resident is a threat. On top of that you can get the Switch Exclusive in game Pakku mask just by using your Packman Amiibo. Finally a Switch port of this glorious franchise! This hilariously inappropriate game can be played anytime, anywhere…well up to your discretion. Like don’t play this at like…a child’s birthday party…anyways that’s up to you. Customize your character and join the cast in South Park battling out with some surprisingly deep mechanics. Choose your class, level up, and increase your notoriety. Season pass holders will have access to 3 DLC releases. M’kay. Battle it out wth new updated Link, Zelda and Calamity Ganon from Breath of the Wild. This game is beautiful with great renditions of classic music and set peices. Good VS evil never looked so freaking good. Collide all timelines and stories together into one epic battle royal. A new tournament for fans in US and Canada has been announced. On March 8th- 18th, players will battle it out in the preliminary stages. Eight top players will advance to the finals for March 31st. The winner gets a custom art piece and some major bragging rights! They will be streaming from the North American Nintendo head quarters on their official site. Check out their social media platforms for more details on this. Not sucked into Arms yet? 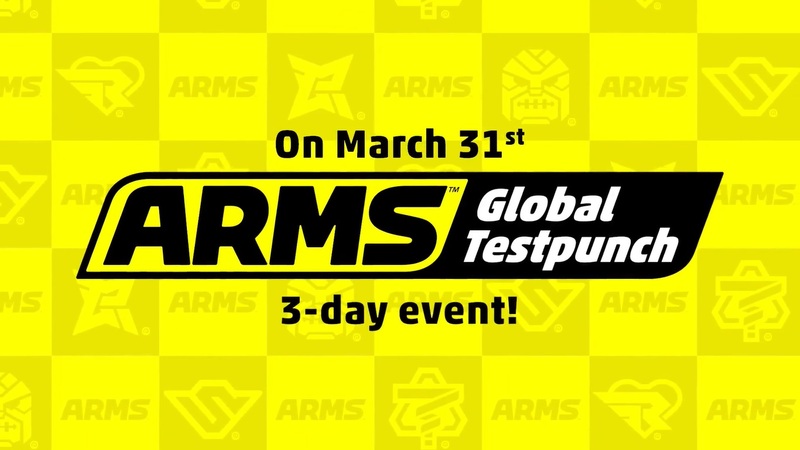 Well, there will be a free 3 day test punch so you can try it out yourself before buying! They will also be discussing development at the Game Developers conference on March 21st. So don’t miss out! Splatoon had some huge announcements as the Direct wrapped up (more on that later). With the launch of Verson 3.0, players will also be getting 100+ New Gear Pieces, more stages like Priana Pit and Wahoo World and a new highest rank – Rank X. Another video dropped for a new paid DLC content introducing a new character by the name of Agent 8. She wakes up in a subway station with her memories wiped where is submerged into a world where she must use the subway as transportation. This introduces some new storylines, some of which are from existing characters. The lore runs deep, and you may think you know everything…but you don’t yet. As they were wrapping up…they were interrupted by one final announcement! In order to find out what that was you better click on this previous article we dropped earlier to find out! And you wont be disappointed! Super Smash Brothers Finally Hits The Switch | Splatoon Characters Included! Previous articleIt’s not just a fight, it’s an ALL-OUT BRAWL! The Tekken World Tour 2018 begins! Critically acclaimed anime movie Maquia is showing in the Philippines soon!